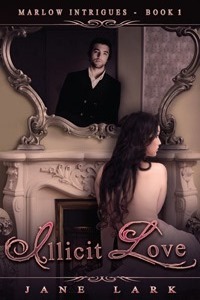 So when I discovered the memoirs of a real Regency courtesan, my imagination ran wild, and my debut novel Illicit Love came into life. Harriette Wilson was notorious, she’d had affairs with the Prince Regent, the Duke of Wellington, and Hart, The Duke of Devonshire, the deaf son of Georgiana, the Duchess whose story was recently told in the Keira Knightley film. But once Harriette had lost her looks and popularity, she needed a new income, so she published her memoirs in 1825, in a series of kiss and tell stories. Although in fact she published very little of the truth, as she blackmailed all her former conquests to maintain her silence; but despite this crowds gathered on the publication date to obtain a copy. But there was one true story in her memoirs which really captured my romance writer’s soul. I love a love story, and during her years as a courtesan there was one man Harriette fell head over heels for, Lord Ponsonby; the brother of the equally infamous Lady Caroline Lamb, who had a very volatile and public affair with Lord Byron, the poet. Harriette’s words change when she speaks of Lord Ponsonby and you can tell he mellowed her completely, and she felt all the things anyone might today when they fall in love. She speaks of not being able to sleep, and her stomach feeling queasy; of going to a park and walking about for hours simply with the slight hope of seeing him. They have an affair for about three years, but when she met him Lord Ponsonby was already married, and after three years his wife insists he gives his mistress up. When their affair ends, Harriette, the woman known for a cold and calculating heart, waits outside his house night after night, in the hope she might catch sight of him. Harriette’s love story ended sadly, but it gave me the idea for a courtesan to meet a man and fall in love, and for him to fall just has hard as Lord Ponsonby had for Harriette, but I wanted to give her the happy ending Harriette must have craved. 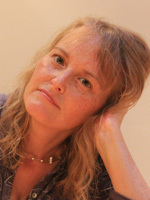 Jane is a writer of authentic, passionate and emotional love stories. She began her first historical novel at sixteen, but a life full of adversity derailed her as she lives with the restrictions of Ankylosing Spondylitis.When she finally completed a novel it was because she was determined not to reach forty still saying, I want to write a book. Now Jane is writing both Regency and New Adult novels and she is thrilled to be giving her characters life in others’ imaginations at last. Have you read Jane Lark? Feel free to leave her questions or comments!